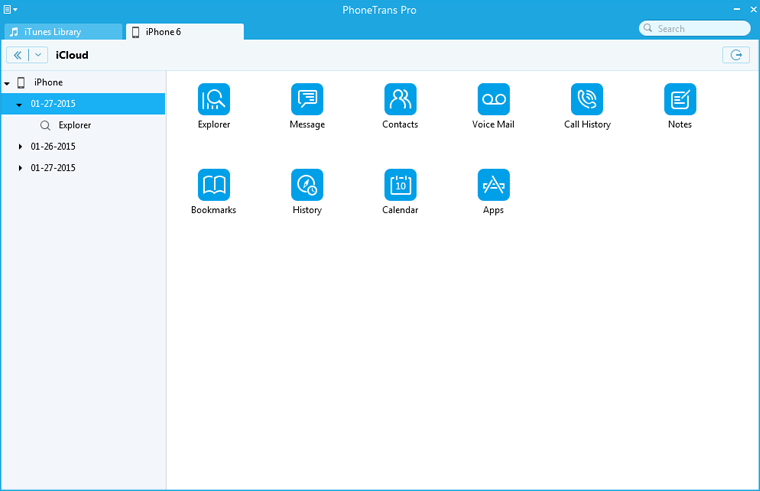 PhoneTrans Pro helps you access the iCloud data easily. It makes you browse and check all backups after entering into Apple ID. 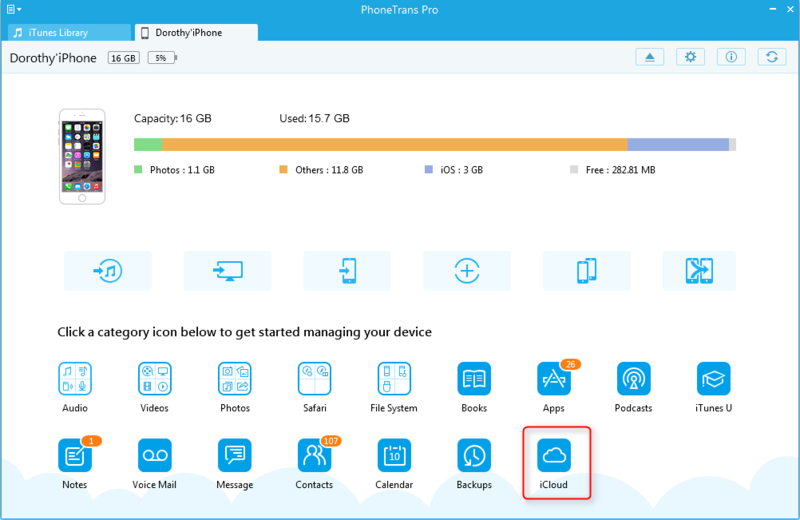 By this way, you can manage your data located in iCloud easier. Please refer to the tutorial below to move backups to computer. 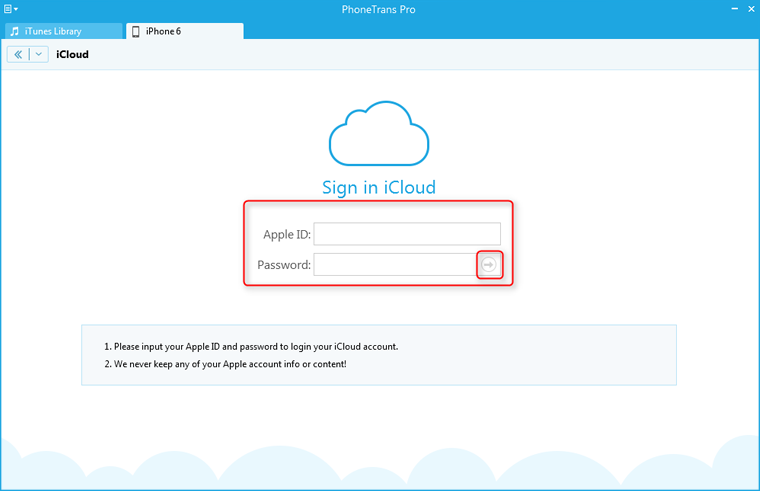 Step 2: On the homepage of PhoneTrans Pro, choose iCloud to enter the iCloud manage page. Please input your apple ID and password to enter your iCloud. Step 3: Give a view on the data which locate in iCloud. Step 4: Select the data you want to transfer.